Stem by Ari’s Eight Necklace. WOMEN WORKING IN STEM — the fields of science, technology, engineering, and mathematics — have always been historically underrepresented. Though women make up nearly half of the overall workforce, men outnumber women by more than 60% in some STEM disciplines, like chemistry and material science, and 90% in other fields, like mechanical engineering. Even when, against all odds, women do end up becoming scientists or engineers or researchers, they still have to work twice as hard to earn half of the recognition that their male colleagues do — and they run the risk of having their discoveries forgotten or taken credit for by men, simply because they are women. Employment growth for women in STEM careers has been stagnant for the past 16 years, with the trend looking like it’s going to continue into the future, despite efforts by organizations like the National Girls Collective and the White House to galvanize young girls’ interest in STEM. So how do we solve the problem the US has with women in STEM? We start by inspiring young women and girls to see STEM as an attractive and, more importantly, viable option when it comes to study and career. We begin by teaching girls that it’s absolutely OK to be more interested in biology than Barbies — because, no, liking science doesn’t make you a “nerd” or a “geek” — and cultivating that interest by finding unique ways to incorporate STEM principles into every-day life. 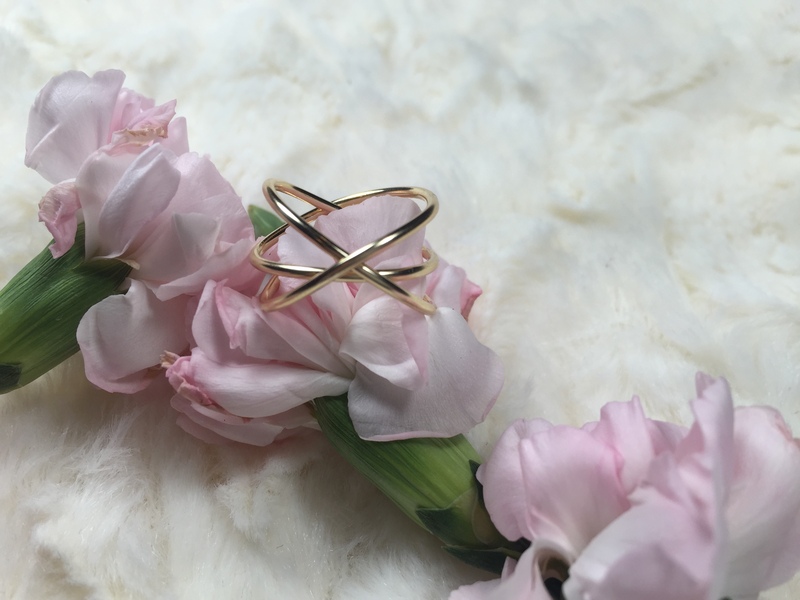 Lady Clever had the opportunity to speak with Ariana Rodriguez, a graduate of UCLA with a degree in Applied Mathematics and the creator of jewelry line Stem by Ari. Rodriguez has combined her love for jewelry with her knowledge of and interest in geometric shape properties in order to inspire women everywhere to reach for the stars — and the atoms, and the beakers. In short, to see themselves as worthy of pursuing and excelling in a STEM career as any man out there. What did you study when in you were college? Are you involved in STEM now? My focus at UCLA was in Applied Math, with a minor in Statics. Statistics came natural to me, so now I work as a statistical analyst at an opinion research company. I work with the statistical programming language SAS to help researchers provide our clients with custom-designed quantitative and qualitative opinion research and effective strategic advice. The fields we work with range from government to healthcare to education. I enjoy what I do because we provide organizations with solutions key to their success.I work with a team that partakes in change for the better, and as a young adult starting a career, it is a great feeling to have. What’s Stem By Ari’s mission? I hope to inspire women everywhere to see themselves as capable of succeeding in any STEM field and in truly fighting for what they hope to achieve in life. 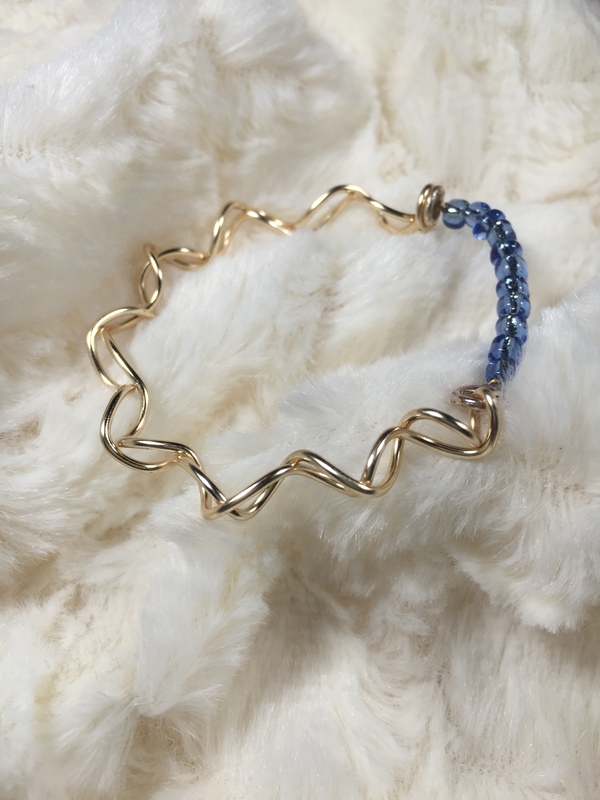 Through my jewelry line, I am striving to connect with women and provide them with accessories that make them feel beautiful and empowered. How do you come up with the designs for the different pieces? Are they all handmade by you? As previously mentioned, the first piece I created was the Integral Lariat necklace, and after that, all these other mathematical shapes that I had strong ties to came to me. 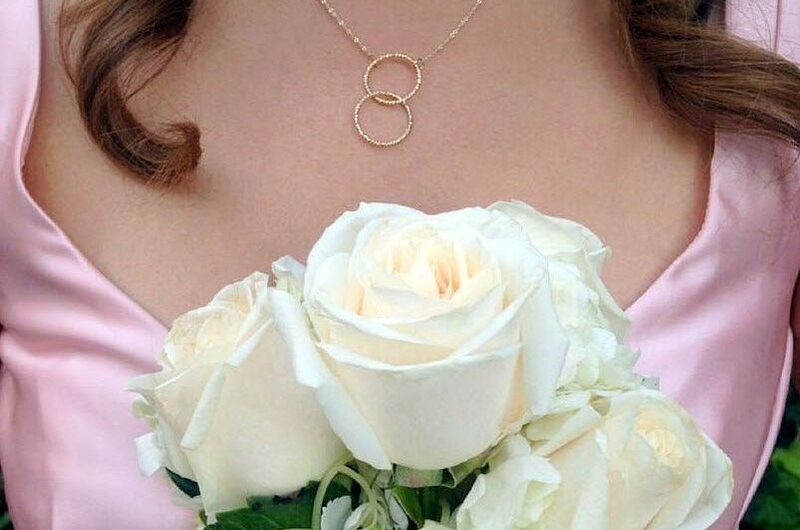 For example, my favorite number has always been 8, which became the inspiration for my 8 necklace. Science — specifically the shape of the atom — is also appealing to me. When looking at an atom shape, the idea for a killer ring came to me, and after some trial and error I was able to materialize it. 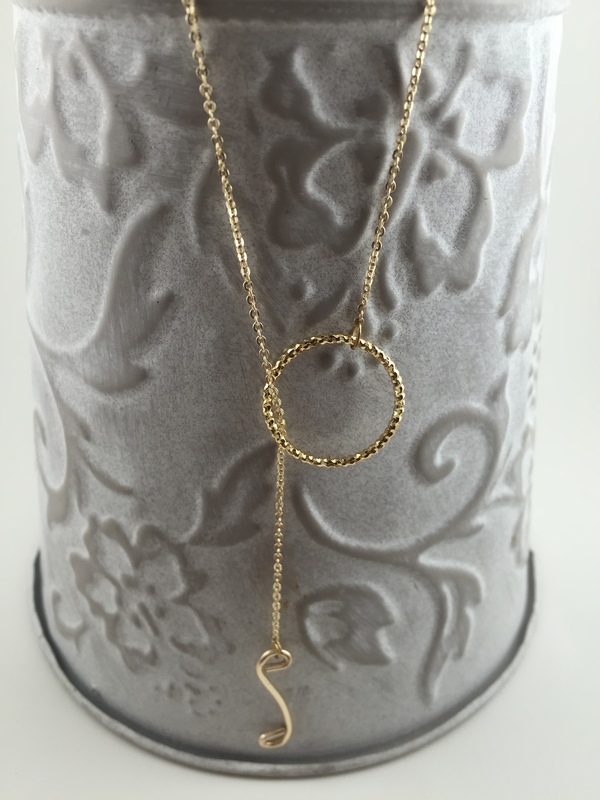 I personally hand-make all my pieces, and to offer economical prices, the materials I use range from non-tarnish gold and silver wire to gold-and-silver-plated charms and chains. What’s the favorite piece you’ve designed? All pieces are special to me. However, if I were to choose one, it would be the Integral Lariat necklace. This is because it was my initial creation, and because integration was one of my favorite math classes. With integrals, one can describe displacement, area, and volume, which are all central concepts to my jewelry. I find the integral shape beautiful, so I created this piece with it in mind. I loved how the simplicity of the integral shape contrasts with the complexity of its purpose. Why the interest in STEM? What about it inspires you? STEM is our future. So many things that we have now would not have even been thought possible a couple years ago. It’s giving our generation the chance to live a life with more ease, and connecting people all over the world. This allows for the growth of ideas and inspiration. I think ideas are the basis of who we are as a person, and the people we encounter physically or digitally allow us to expand those ideas. The beauty of an idea is that it is always changing and growing, and STEM allows that to happen faster. What has your experience as a woman been in this field? Inclusive? Exclusive? I still get many surprised reactions from people when they find out that I have a bachelor’s degree in applied math. I receive comments like “Really? !”, “Interesting…”, “You don’t look like a math geek.” To the latter I always respond: “Well, how is a math geek supposed to look like?” On some level, I think times have changed, and the idea that women in STEM are a force to be reckoned with is slowly gaining acceptance. But it’s not totally there. So luckily, I am very grateful to have colleagues at work who support my career aspirations and are helping me get to the next level in my career. Some people claim that there are less women in STEM careers because society has been socialized to view STEM career choices as “not feminine.” Did you ever experience negative reactions — or barriers — when choosing your major at university or making career plans? The thought that math or statistics was something women couldn’t do because it wasn’t part of the gender norm crossed my mind more times than it should have. In reality, it should have never even been a thought. But it was hard to ignore with the lack of women in my math classes. On top of that, being the only Mexican woman in most of my upper-division math classes made it even harder to find the encouragement I needed to continue in this field. I was able to find inspiration and drive from my mother who, against all odds, came to this country at a very young age and is now a successful computer programmer. She showed me that math has no boundaries when it comes to gender or ethnicity. This idea stuck with me through moments when I felt I couldn’t do something. That’s my whole premise for this jewelry line — to inspire women and encourage them to continue to excel in STEM-related fields. What do you think is the biggest change needed when it comes to attitudes toward women in STEM careers? I think the idea that women can’t have it all — being engineers, scientists, or mathematicians while also being good partners and mothers — needs to change. The only way to do this is to publicly recognize the women that are making cutting-edge progress and breaking down career barriers for their outstanding achievements. When I asked my little sister what she thought a mathematician looks like, she began saying “someone who wears glasses, likes to read, a man…” The mentality of present and new generations needs to change to where the immediate answer to that question is not an outdated, stereotypical response. It needs to get to the point where our answers are not gender-specific, but simply “any human being coming from any and all races and backgrounds that has greatly contributed to STEM.” The truth is that STEM-related jobs have no bounds when it comes to the people that master these fields, and I think this is the idea that we must instill in our youth. 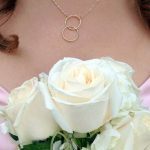 To check out some of Stem by Ari’s beautiful, STEM-inspired jewelry, check out its website here. Also, keep up with Stem by Ari on Instagram.